Huntsille, AL and Athens, AL summer is finally here and school will be out soon! At McCurry Van and Car Rental we are ready to supply the van or car rental for all of your summer vacations or special events. If you have a big trip or travels planned this summer be sure to check with us at www.McCurryRentals.com or 256 230 0232 for Athens, AL van and car rentals or 256 713 0575 for Huntsville, AL van and car rentals. We have expanded our inventory recently with new cars, vans, passenger vans, and sprinter vans to accomodate our growing customer base and still be ready to supply all of our potential customers with the perfect rental. If your not sure which vehicle is right for you, or if you know exactly what you need it does not matter, just give us a call at 256 230 0232 for Athens and 256 713 0575 for Huntsville, or visit our website at www.McCurryRentals.com to check availability or just look at our inventory of rental vehicles( https://mccurryrentals.com//newandusedcars.aspx?clearall=1 ). The bottom line is we will fit your needs this summer! Give us a call or visit our website and make this summer a simple one as well as one to remember! Huntsville, AL have you recently had a fender bender? Is your care getting a warranty recall? Do you need a great rate on an economy rental vehicle to get you through your vehicles down time? Look no further then McCurry Van and Car Rentals! We are your one stop shop for everything van rental and car rental. Visit our website at www.McCurryRentals.com and check out the rates on our economy car rentals! We have great pricing and no hassle rentals. You can also call us at 256 230 0006 to check our availability and rates. If you need a car rental to get you through you trying times whether it be a rental for a car wreck, a rental for a warranty recall, or just general maintenance let us assist you in making it as easy as possible. In Huntsville, AL McCurry Van and Car Rental is striving to provide the best van rental, car rental, and SUV rental experience in the state. We are offering competitive pricing and premium vehicles to rent. There are several different types of rental vehicles we are offering. The 15 passenger Van Rental we offer comes in two different vehicles. First is the 2017 Ford Transit Passenger Van. It is a 15 person rental that comfortably holds 15 passengers including driver. We also have the Chevrolet Express that will hold 15 people and is the typical van you think of when you think of a large passenger van. Our 12 passenger vans consist of Ford Transit Van Rental, and also our favorite 2016 Mercedes Sprinter Van Rentals. Both of these rentals comfortably carry 12 people for a 12 person van rental. We also offer Suburban Rentals that are a quality SUV if you only need room for 5 people or 7 people. As well as our Mini Vans that hold 5-7 people. If you just need a car rental to travel or need a vehicle for a few days, Our Nissan Rogue Rental is cheap and a great option. Car in the shop and need a rental car? Ask for a discount for rental while your car is getting repaired? Huntsville Al We want your rental car business. Veterans Day is less then a week away and we are as busy as ever at McCurry Van and Car Rentals! FIrst off we would like to personally thank each and every member of our great nations Armed Forces, past and present, veterans and active duty. Without these great service men our lives would never be as good as they are today. The sacrifices made by these great men and women will never be taken lightly and will always appreciated to the fullest. Veterans day is one of the most important days of the entire year as we acknowledge and appreciate the courage, honor and sacrifices made by these incredible men and women. We should all do our best to remember these incredible men and women not just one day of the year, but every single day because everyday we get to enjoy the lives we live because of these men and women. Veterans day is a celebration of and appreciation for the servicemen and women that have served our country and protected us at all times. Ceremonies and parties will be taking place all over the nation. With this big day coming up soon, McCurry Van and Car Rental is ready to provide the best car rental, van rental, or passenger van rental service you can find in North Alabama, Huntsville, Athens, Decatur, Cullman and Florence. Our Sprinter Van Rentals are a great way to transport 12 people in style and comfort with our 2016 Mercedes Benz Sprinter Vans. 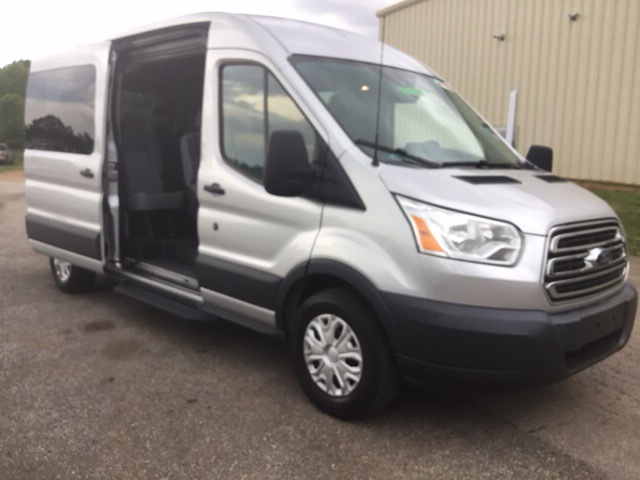 We also have 15 people passenger van rentals, 12 people passenger van rentals, and 10 people passenger van rentals with several different options. We even have diesel options available. For a smaller size group we have our SUV Rental. If you need the extra space of an SUV we have great Suburban Rentals and Denali Rentals! Our mid size SUV is our 2016 Nissan Rogue's these mid size or compact SUV Rentals are great for smaller groups that will also receive great gas mileage and are perfect for long distance travel with a group of 3-5. If size is not an issue and you just need a car for your driving needs, our brand new 2017 Toyota Corollas are a perfect rental choice. The 2017 Toyota Corollas are all brand new, under 1,000 miles, receive 30+ miles per gallon on the highway and make a great car rental for travels. If you have any other needs or if there is anything we can help you with just call us at 256 230 0232 and speak with one of our car and van rental specialist who will find the perfect van or car rental for you. Just check out our website at www.McCurryRentals.com and book your reservation today, or call us at 256 230 0232 and one of our professional rental agents will be glad to assist you! Active and Retired Military members ask us about our 10% discount and mention this blog. 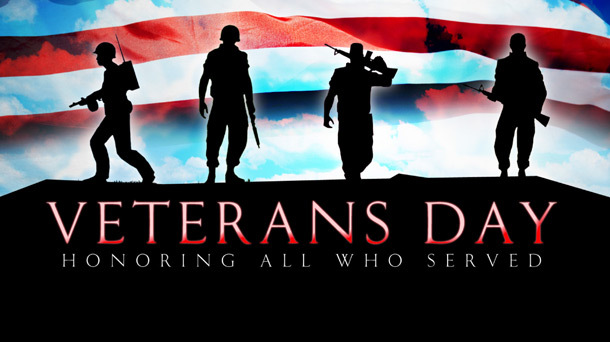 Once again we would like to thank our Veterans for their service and hope everyone has a safe Veterans Day Weekend.